The BATtle of the Attack Detection ALgorithms (BATADAL) will objectively compare the performance of algorithms for the detection of cyber attacks in water distribution systems. Participants will contribute an attack detection algorithm for a given water network following a set of rules that determine the exact goal of the algorithms. Modern Water Distribution Systems rely on computers, sensors and actuators for both monitoring and operational purposes. This combination of physical processes and embedded systems (cyber-physical systems, in short) improves the level of service of water distribution networks but exposes them to the potential threats of cyber attacks. During the past decade, several water supply and distribution systems have been attacked, with the consequent creation of cyber-security agencies and international partnerships to defend water networks. Yet, little is known about the potential effect of these attacks as well as the design and implementation of attack detection algorithms which identify anomalous behaviors of sensors, pumps and other components of water networks. The article summarizing BATADAL was accepted at JWRPM, see here. Results of the BATADAL are now available here. We released the solutions for the test dataset to our participants, and are currently preparing the results. Join us at EWRI on 25 May 2017 to see the results presentation, and join for our panel session! The final test dataset (password protected) was added here. For now, only teams that submitted a paper will have access. Another Q/A was added to the FAQ page here. 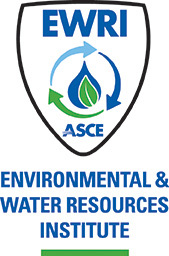 In addition, the January deadline was extended to Jan 20 by EWRI. The fourth dataset (with partially labeled attacks) was added here. Another Q/A was added to the FAQ page here. The third dataset was added here. A page with frequently asked questions was added here. The abstract registration deadline has been extended to 16 October. Three workshop session slots have been approved for BATADAL at the EWRI Congress 2017. More details on the scheduling here. The first draft of this website is now online.